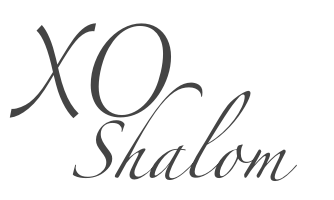 For the self-diagnosed shopaholic's like myself, we can always find a reason to go shopping. But the change of season to summer presents a valid excuse to go shopping and pick up some new items. 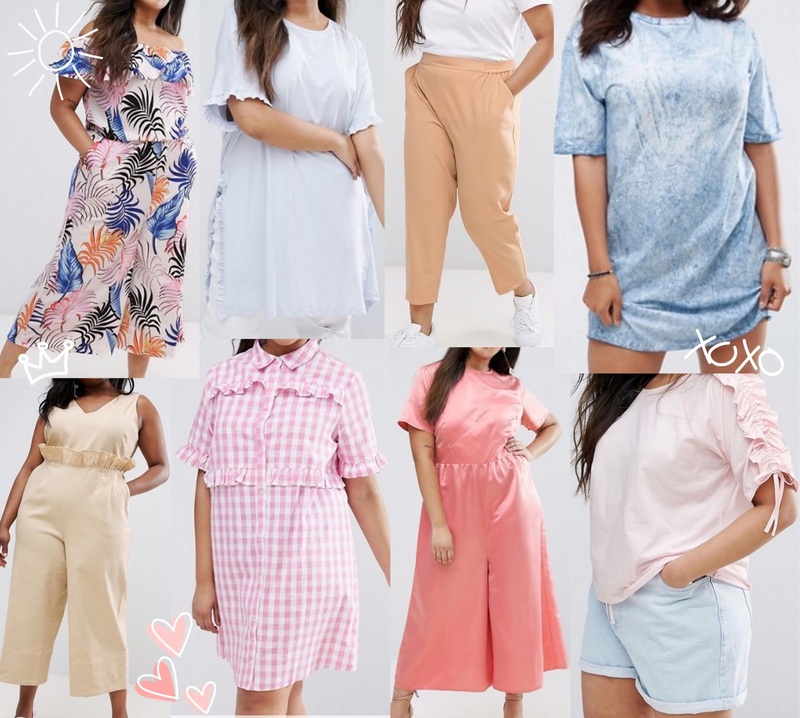 I absolutely love all things ASOS, for this post I picked some ASOS Curve clothing items that will make your summer wardrobe shine. I'm loving anything with a tassels on it, this bardot tassel dress has everything I love in a dress. 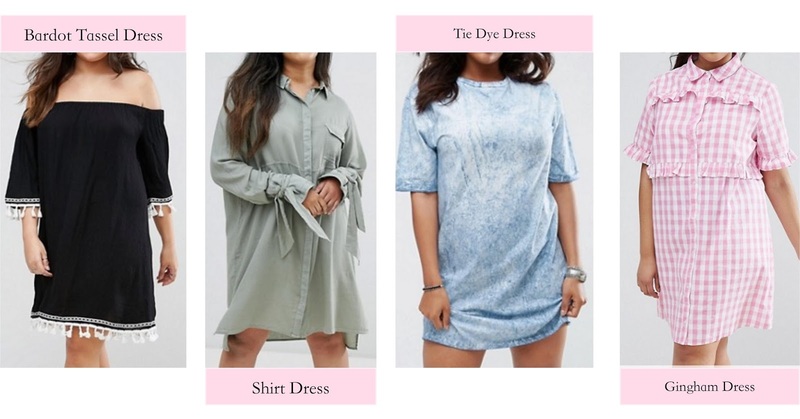 This shirt dress looks like the perfect everyday dress, super easy to wear but still looks stylish. Loving this tie dye t-shirt style dress, looks like it would go perfectly with a pair of white converse. Gingham is everywhere this summer, loving the mix of pink, gingham and ruffles in this dress. Loving the various types of gingham print on this button down shirt. 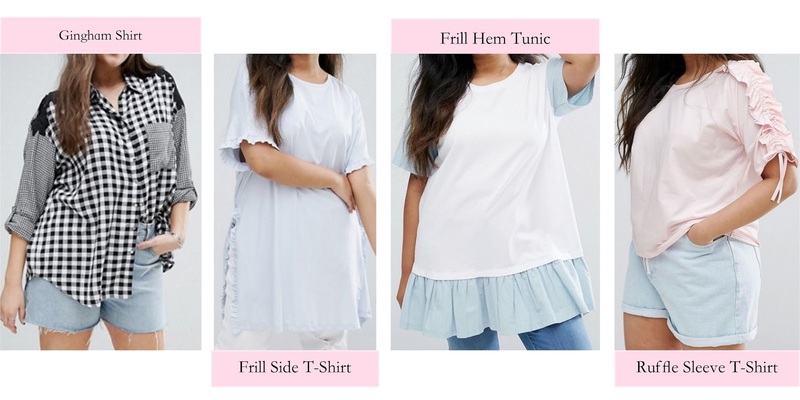 I'm obsessed with split side tops, this frill side t-shirt screams me. The theme of loving frill continues with this cute overside frill hem tunic, it looks like a great everyday t-shirt. I'm loving the color and the ruffle sleeves on this t-shirt, it seems like the perfect summer tee. The palm print jumpsuit looks like perfect vacation wear. 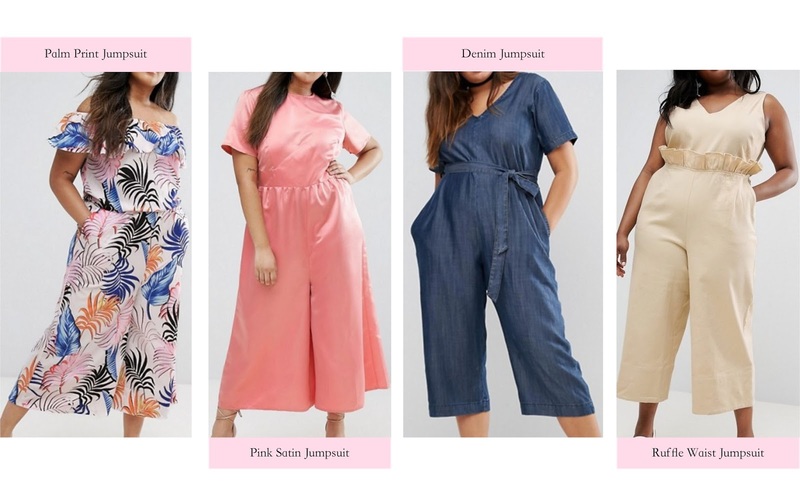 This pink satin jumpsuit is looks great for a summer wedding. 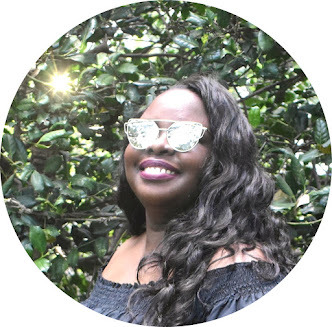 I'm loving this denim jumpsuit, it looks light weight and comfy. This ruffle waist jumpsuit screams statement piece and the ruffle detail is super cute. 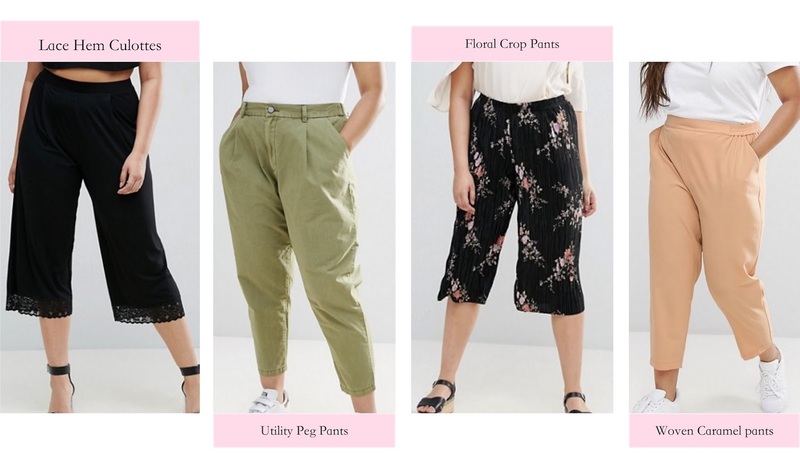 The lace hem culottes look like perfect work pants. I'm loving these green colored peg leg pants, te color works well during all the seasons. Another great pair of work pants are these pretty floral crop pants and woven caramel pants are look super comfy summer.